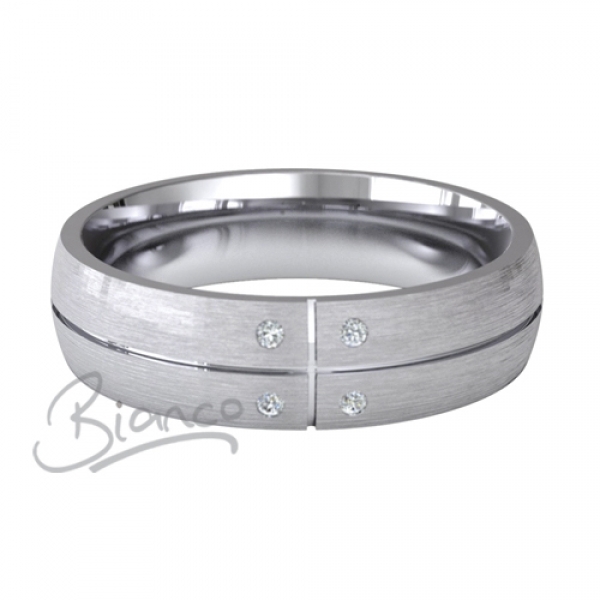 4 to 6mm wide Solido Patterned Court Diamond Wedding Ring. Rough brush finish, with a concave groove running through the centre. This is disected by a single vertical groove, creating a quadrant, with a 2pt diamond set in each corner. This ring has a Court (Comfort fit) profile shown in the images above.